After just completing a successful U.K. tour with his new band the GRAHAM BONNET BAND, Graham Bonnet has plenty planned for 2016. In addition to the RAINBOW 1980 Monsters Of Rock performance finally being released on CD and DVD, Graham's solo records "Line-Up" (1982), "Graham Bonnet" (1977), "No Bad Habits" (1978), "Here Comes The Night" (1991), "Underground" (1996), "The Day I Went Mad" (1999) and the "lost" 1974 album "Back Row In The Stalls" (which will be made available on CD after an iTunes-only release in 2014) are being reissued via Hear No Evil Records. All discs feature unreleased demos, B-sides, and outtakes as well as extensive liner notes by renowned rock journalist Malcolm Dome. Hear No Evil will give the ALCATRAZZ catalog the deluxe reissue treatment, with each studio release featuring either unreleased demos, live material, or, in the case of "Live Sentence" and "Disturbing The Peace", live DVDs from those respective time periods. Also due this month is a six-disc ALCATRAZZ box titled "The Ultimate Fortress", which will contain the three studio albums and live set, a DVD featuring two live performances and the band's three MTV promo clips. Also included is a GRAHAM BONNET BAND six-track live recording from Japan in June 2015, titled "Escape From Alcatrazz" and featured for the first time on CD. 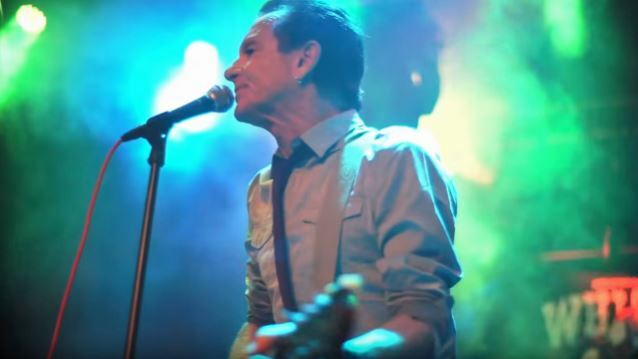 2016 will also see the release of the long-awaited Dario Mollo / Graham Bonnet collaboration ELEKTRIC ZOO, a Graham Bonnet career-spanning two-CD anthology (also featuring several exclusive tracks) , a GRAHAM BONNET BAND 11-track debut studio album (which will also feature a bonus CD of 16 re-recordings from Graham's career, including a never-before-released track from 1988). And also on the calender for 2016 is a GRAHAM BONNET BAND live album and Blu-ray release. If that isn't enough, there are also plans to reissue the 1993 "Afterlife" record from BLACKTHORNE (the band formed by Graham, Bob Kulick, and ex-ALCATRAZZ keyboard player Jimmy Waldo), with a ten-track disc featuring previously unheard BLACKTHORNE compositions. Meanwhile, Graham's biography "The Story Behind The Shades", authored by Steve Wright, is nearing completion. The GRAHAM BONNET BAND is continuing its touring activities for 2016, with shows in Europe, USA and the a second U.K. run before closing out the year.